Do you ever watch those cupcake shows on t.v.? My favorite is DC Cupcakes! This show is my inspiration for the packet I made today. Ask your students if they’ve ever watched a cupcake show. You might be surprised at how many students like these shows and watch them on a regular basis! 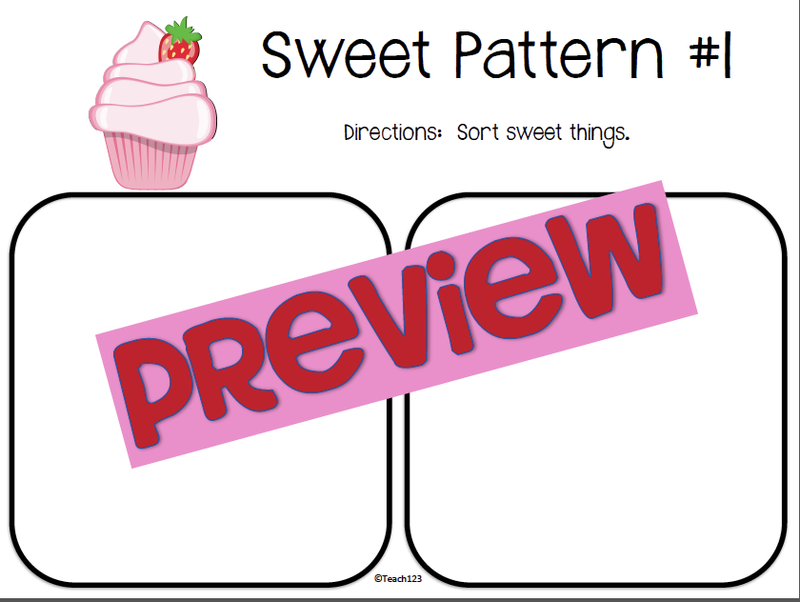 Print these on card stock and cut apart. First, students will choose 2 different cupcakes. They will sort them on this page. 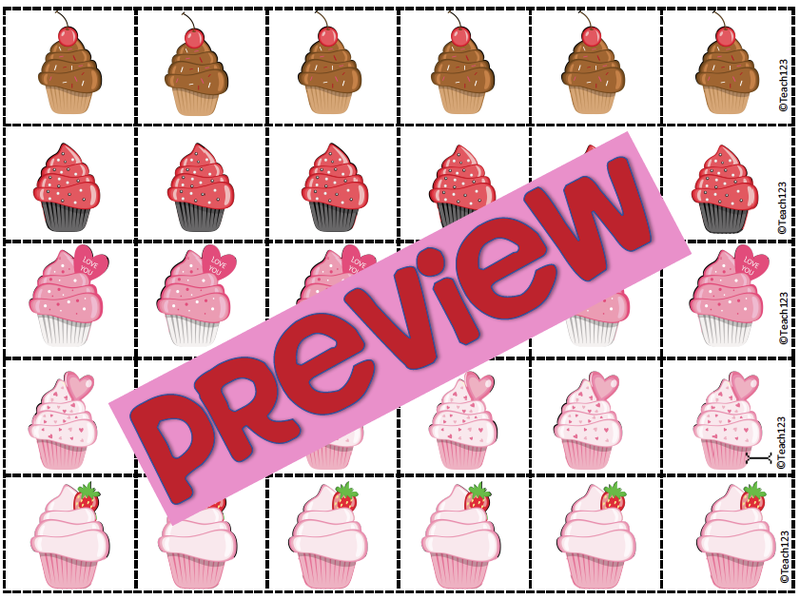 Then they make patterns with the cupcake mini-cards on this page. Afterwards, they can draw their own pattern on the page. 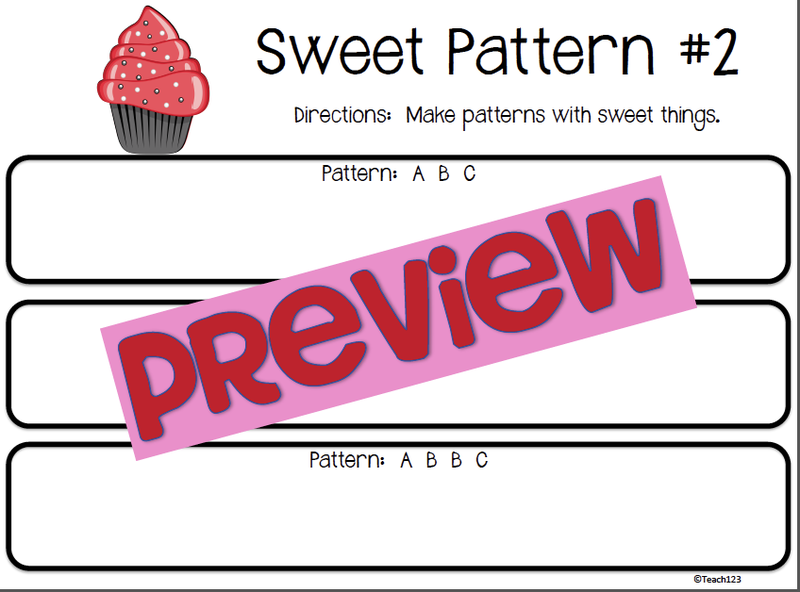 There are 4 different pattern pages. 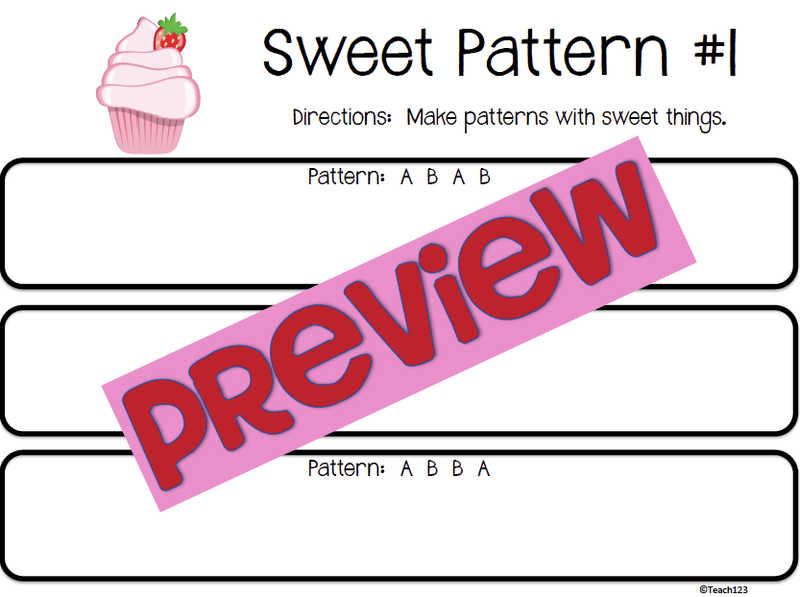 Pattern #2 uses 3 different cupcakes. Pattern #4 is open-ended. 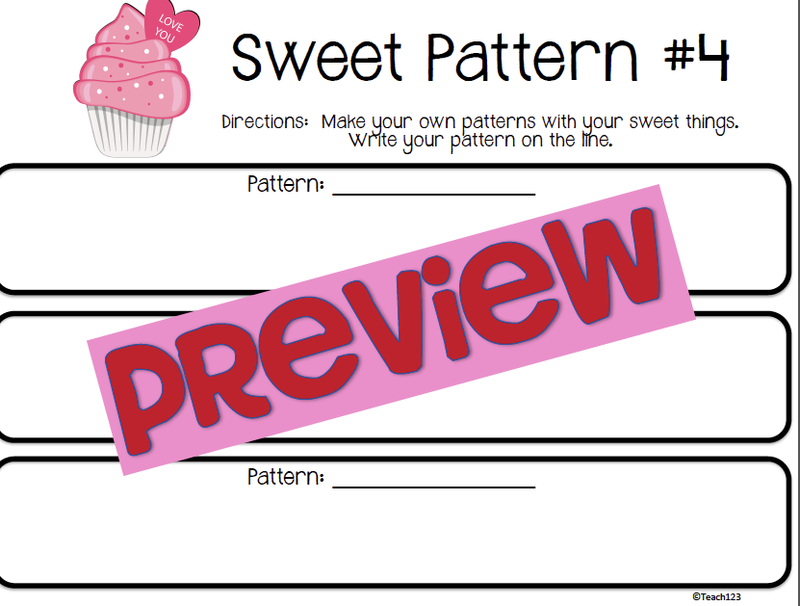 Students will make their own pattern. 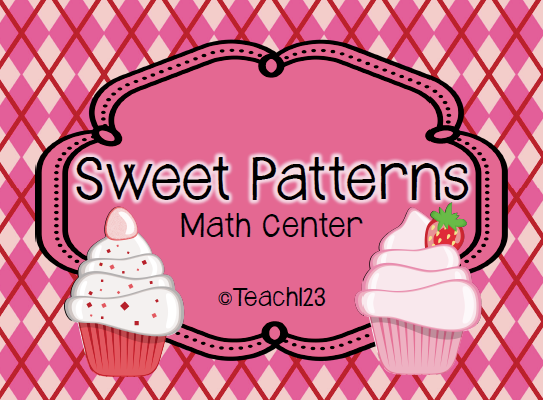 You can also use seasonal erasers with this center. I am linking up with Khrys @ Keepin’ It Kool In Kinderland. She’s having a big giveaway right how so hop over to her blog and enter! Thanks soooo much for the shout out girl, I appreciate it 🙂 and I love the cupcake activity! I'm so glad that you're linking up! I hope you have one rocking sale. We visited DC Cupcakes when we went to Washington two summers ago—it was busy and they only let a few people in at a time.